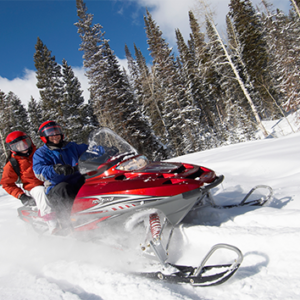 Enjoy winter more knowing your sled is covered by MMG’s comprehensive Snowmobile Insurance Policy. The rush of the wind, spectacular views, trees blanketed in snow—for many people, there’s nothing more exhilarating than spending a weekend in the great outdoors. Snowmobiling may be one of the most exciting winter sports, but it’s also one of the most dangerous. In a split second, exhilaration can turn to disaster. In a split second, everything can change. Protect your piece of the world with an MMG Snowmobile Policy—a competitively priced policy for sled enthusiasts. Your policy safeguards the financial investment you’ve made in your sled. And it protects you against damage or injury claims resulting from accidents you may be involved in. Your coverage can be tailored to the individual snowmobile to provide liability only – or liability and physical damage coverage. Multi-sled credits and snowmobile association credits (varies by state).